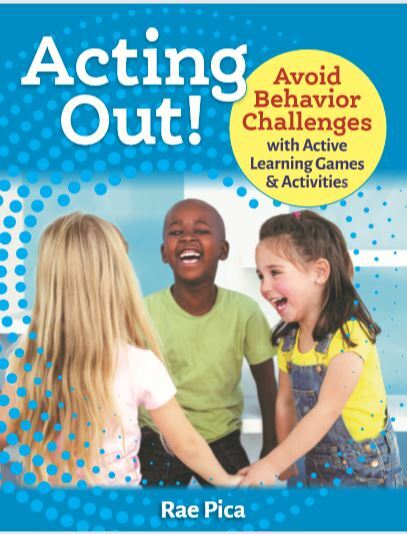 Movement is not misbehavior! Current policies in the early childhood field ask teachers to treat children as though they exist from the neck up—even though research clearly demonstrates that the mind-body connection is vital to development. 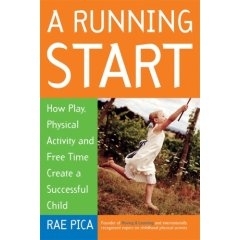 Rae Pica advocates for active learning, not only because it’s developmentally appropriate but because doing so promotes a calmer, friendlier, and less challenging learning environment. Available in paperback and as an e-book! Teachers often look for new ways to teach concepts. 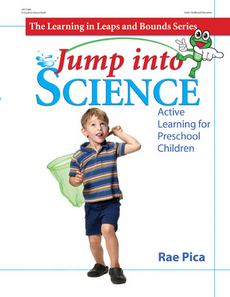 Active Learning Across the Curriculum by Rae Pica is a wonderful addition to any elementary teacher’s professional library. “Movement is a young child’s preferred mode of learning,” is exactly right and an integral part of an early childhood classroom. 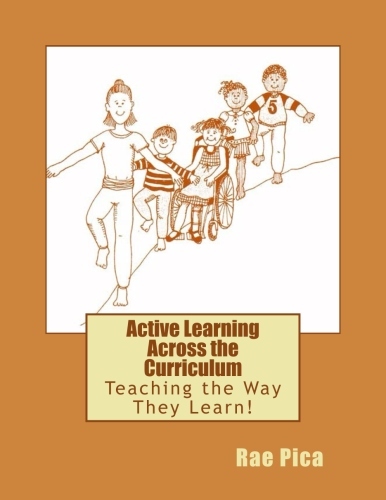 This book has multiple ways of using developmentally appropriate practices to ensure children understand basic concepts. 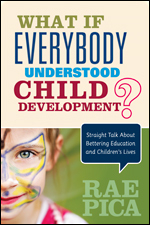 It also goes a step further as it addresses such issues as “personal space.” As an early childhood advocate, I would highly recommend this book for novice teachers and masters alike as they search for fresh ideas. Rae Pica has it just right! In Active Learning Across the Curriculum, fun and fresh activities jump off the page, and we dive into irresistible best practices in six content areas. Strikingly, this gifted author makes such great sense of extensive research in the field that we are at once absorbed into a way of thinking—rich in content, rationale and robust pedagogy. Thank you sincerely, Rae Pica, for this opportunity to join you in delivering on promises and practices, which forever enhance the lives of young children. Your astute book—crisp, concise and consistent—is, indeed, easy to pick up and hard to put down. Kudos! With great appreciation! Understand the connection between how kids grow and how they learn. 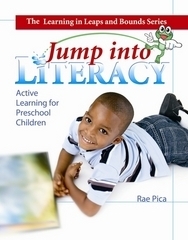 Jump into Literacy combines children’s love of active games with over 100 lively literacy activities. These joyful games will engage the whole child in moving and playing as a way to develop the literacy skills needed for reading and writing. Each activity is complete with a literacy objective, a materials list, instructions, and extension activities. Most of the activities include suggestions for related music and children’s books. From “The Alphabet in Action” to “Floorwriting” and “Follow That Letter,” the activities in Jump into Literacy bring active, authentic learning to the classroom! Winner of an Earlychildhood NEWS Directors’ Choice Award, an iParenting Media Award, & a NAPPA Award from National Parenting Publications! Bring science to life by helping children learn about their bodies, animals, the seasons, weather, and much more. The activities in each chapter are organized by level of difficulty, and each incorporates fun, exciting science experiences with movement. Most activities require few or no materials and include related children’s books or music to extend the learning. The science skills index is an invaluable reference tool, giving teachers flexibility to plan around children’s interests. Activities such as The Mirror Game, Dinosaur Stomp, and Water and Ice will actively engage children as they explore science concepts! 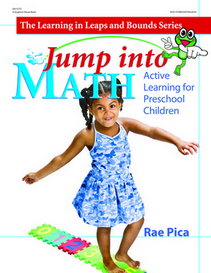 Jump into Math is the perfect way to turn children’s love of active games into learning opportunities! The activities in each chapter are organized by level of difficulty, and each one incorporates fun, exciting math experiences with movement. Most activities require few or no materials and include related children’s books or music to extend the learning. The math skills index is an invaluable reference tool, giving teachers flexibility to plan around children’s interests. Activities such as Light and Heavy Word, The Number Hunt, and Three-Legged Creatures will actively engage children as they explore new math concepts! 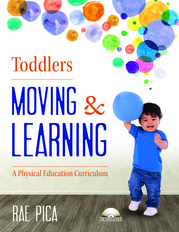 Toddlers need—and love—to move! Young children are ready to use their muscles and minds as they stretch, dance, wiggle, explore, and learn. This physical education program incorporates more than 50 developmentally appropriate activities designed to help toddlers channel their energy in creative, beneficial ways as they develop habits that encourage lifelong health and fitness and success in all areas of learning. Age focus: 18 months-3 years. Softbound book, 128 pgs., and CD, 23 tracks. Give children opportunities to explore all kinds of movement, to find and use their own personal rhythms, and to feel good about participating in physical activity. 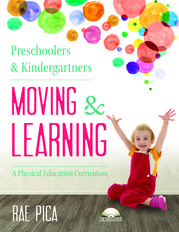 This curriculum incorporates more than 80 developmentally appropriate movement activities designed to help preschoolers and kindergartners develop habits that encourage lifelong health and fitness and success in all areas of learning. Age focus: 3-5. Softbound book, 160 pgs., and CD, 27 tracks. 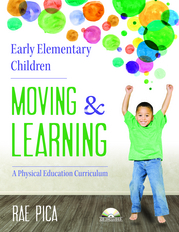 Physical education is a critical part of every early childhood curriculum. Children need to move to channel their energies in creative, beneficial ways and to learn habits for lifelong health and fitness. Early Elementary Children Moving & Learning provides more than 100 developmentally appropriate activities that contribute to a well-rounded curriculum in any classroom or program. Age focus: 6-8. Softbound book, 232 pgs., and CD, 28 tracks. Rae is constantly asked by elementary physical education teachers, “What am I supposed to do with the little ones?” Physical Education for Young Children places the focus squarely where it needs to be: on the fundamentals. Get ready for fun! These new and classic games, each with a noncompetitive twist, are sure to get children moving, laughing, and learning. You’ll find everything you need to know to play over 100 great games. Every game provides benefits for the whole child by supporting cognitive, social/emotional, and physical development. 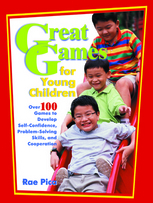 Perfect for rainy days, sunny days, and every day, the games in this book offer heart-rate-raising, team-building, friend-filled fun! 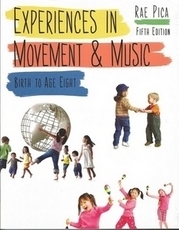 Enhance your classroom with 200 movement-inspiring activities for children ages four to eight. Wiggle, Giggle, & Shake encourages children to think and solve problems, to recognize and explore their feelings, and to participate physically in their own learning. Explore 38 popular classroom themes, such as transportation, seasons, holidays and celebrations, animals, and occupations, with these simple, fun movement activities. 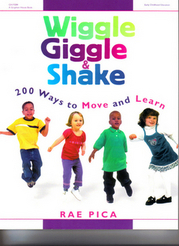 Wiggle, Giggle, & Shake is a creative resource for engaging young children’s imaginations, as well as their bodies! Thanks to transitions that are both fun and educational, the minutes between planned activities become moments that children actually look forward to. 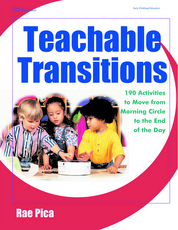 Filled with movement activities, games, fingerplays, chants, and songs, Teachable Transitions offers a variety of ways for your preschoolers to move through their day. Organized by categories such as “Arrival,” “Outside,” “Snacks & Lunch,” and “Cleanup,” each transition is presented in an easy-to-follow “Ready, Set, Go” format! 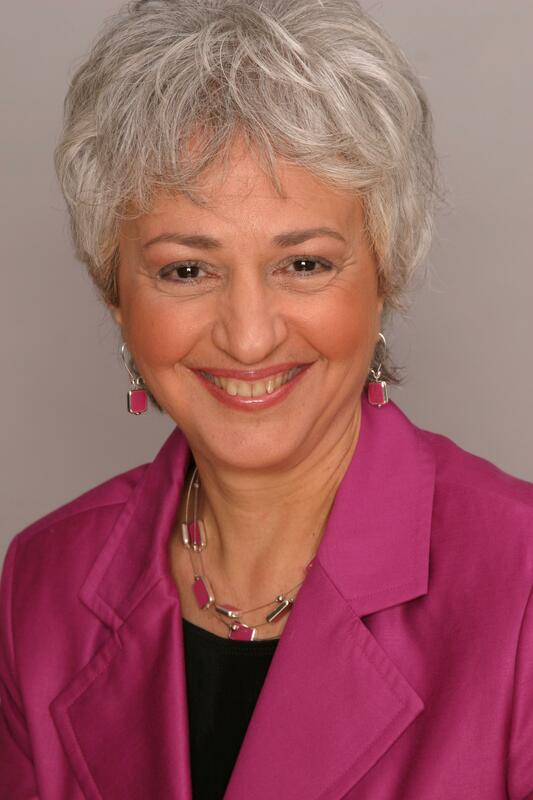 Early Childhood Initiatives, Family Communications, Inc.